It&apos;s the last minute, do you need idea&apos;s for Mother&apos;s Day? Look no further we have everything you need to make your mom cry with joy this year. What do you get the women who gave you life? Start by looking at the Holy Cow Boutique this weekend. Located in the old Pleasant Grove Recreation Center. With 65 unique vendors you are bound to find something for even the pickiest of mothers. Want something a little more traditional, stop by the Outlets at Traverse Mountain. They have everything from Le Creuset to Rocky Mountain Chocolate Factory. To many good options at the Outlets? Pick her up a gift card and give the gift of shopping. Let someone else get the food ready for Mother&apos;s Day brunch this year. We have some great options for you to pick from. Starting at Thanksgiving Point on Saturday, May 11. This amazing meal will be put on by Harvest Restaurant from 10 am-2 pm. Executive Chef Jason Merryweather&apos;s brunch buffet is truly spectacular. Then on Sunday head to Sundance Resort&apos;s Foundry Grill from 9:00 am -5:00 pm. Sundance offers amazing food in a truly stunning environment. Another Sunday option is the Provo Marriott Hotel and Conference Center Brunch from 10:30 am-2:30 pm. Now that you have your gift and are well feed, it&apos;s time for some fun. 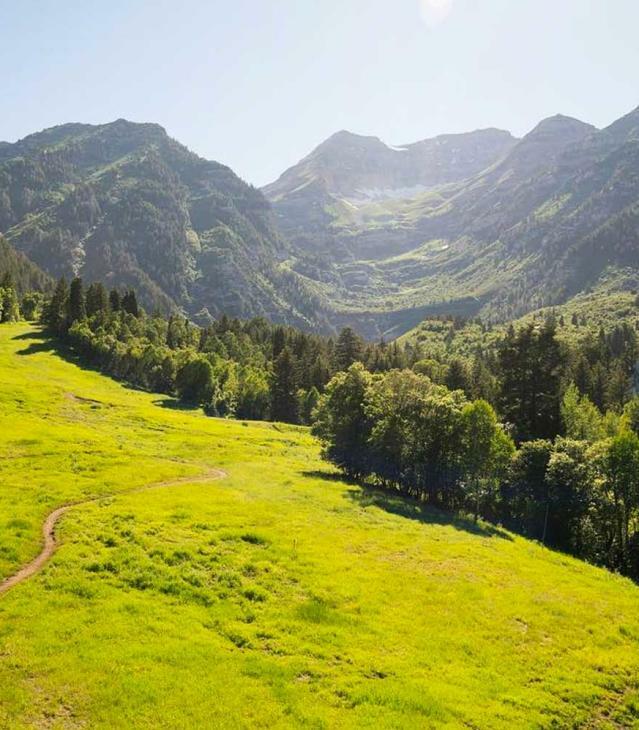 Take a hike on one of Utah Valley&apos;s many trails. Explore the Gardens at Thanksgiving Point (closed on Sunday). Head out to Utah Lake for some boating and a picnic. Take the family to La Nay Ferme in Provo for their Mommy and ME Healthy Hands-on Cooking class. Go horseback riding at Sundance and take in all that nature has to offer. Whatever you choose to do, make sure to tell your mother you love her and a special thank you.